Today the Honda Aircraft Company announced that it has received a Production Certificate from the United States Federal Aviation Administration (FAA), to manufacture its lightweight aircraft, the HondaJet. The news comes after the HondaJet earned type certification from the FAA last year, and from the European Aviation Safety Agency (EASA) in late May. 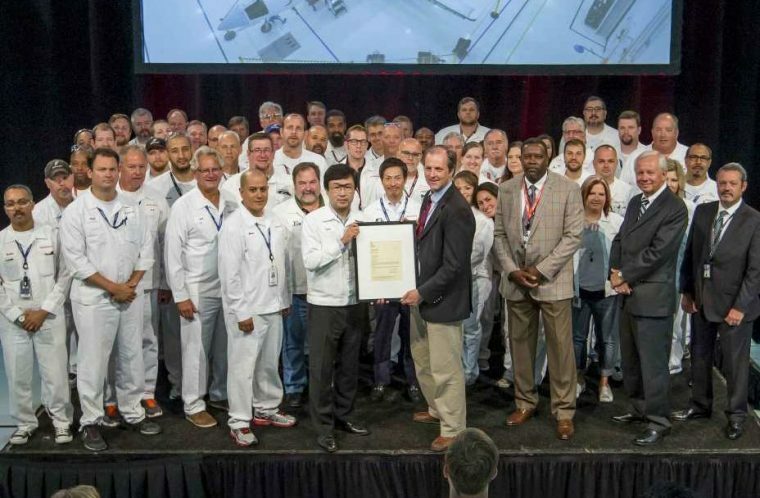 Melvin Johnson, FAA Small Aircraft Directorate Manager for the Central Region, presented the Production Certificate during a special celebration Friday, July 8, at the Honda Aircraft Company’s world headquarters in Greensboro, North Carolina. Now that Honda Aircraft has earned its Production Certificate, the company is authorized to produce, flight test, and issue airworthiness certificates for the HondaJet for customer deliveries. Honda Aircraft said that the company has steadily been increasing production since the HondaJet received FAA type certification in December of 2015.